A predicable story line but kept my attention with all the killings. 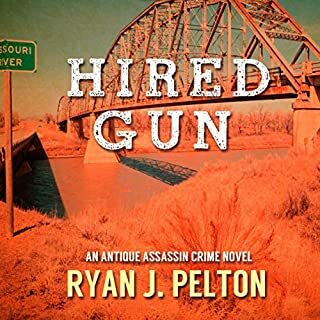 I kept waiting for the killer to eliminate the two, not very smart antique dealers but they seemed to muddle through each killing with out any harm to them. 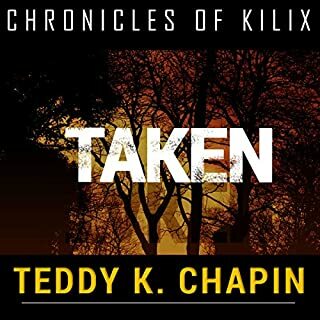 Would you consider the audio edition of Taken to be better than the print version? Yes...all audio book version are better than the printed version. I enjoy hearing them while I drive or work with my hands. What was one of the most memorable moments of Taken? The most memorable moment of the book was when Loren finaly finds Kilix and Kilix don;t understand how much she loves him/ A real heart breaker. Joshua Bennington brings the story to life. He gives the characters a personality and life. He did a particualy good job with the character "Petter". I am not sure if it was just the way Peter talked or his voice that made him such an amusing villain.. I gave this production of the book a five star rating because it was fast and thrilling. 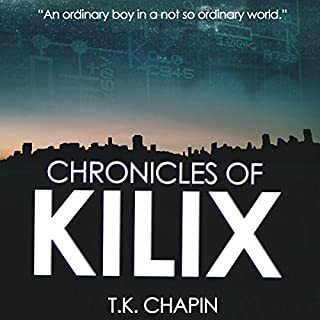 This second book in the series was much more entertaining than the first book.."Kilix". I can not wait to hear the third book. I hope the author has that same narrator.do his third book! What made the experience of listening to Chronicles of Kilix the most enjoyable? I liked hearing the story. 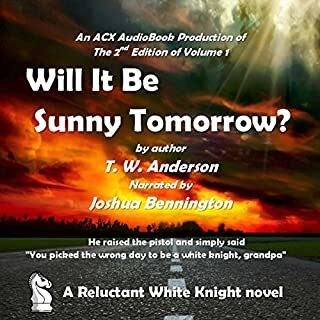 The narrator and author keep you entertained and make the audio book hard to turn off. Kilix's adventures were nothings like mine but still they were in some ways. I think everyone gets the same feeling in High School. The story left a lot of questions unanswered. Perhaps for another book? Joshua Bennington gave the story life and energy. Something I just do not get from a printed version. Each character was given his or her own voice that I could understand and identify as that character. The primary character is recovering from the loss of his wife of nearly 25 years. He uses the experience of his past to rescue a stranger and then protects that person from an attempted kidnapping. The scenes of the book are set in present-day rural West Texas with events occurring in Houston and on Galveston Island. The author uses colorful descriptions of the areas, people, and actions to draw in the listener. I have already recommended this book to a few of my friends. I had enjoyed it and my friends have as well. It was nice to hear a story about older aduts that did not have them almost dead but still enjoying life. I gave this book a five start rating because I loved it. The story was unusual because it depicted older adults as still being alive and able to love again. Also. I thought the narrator did a good job with the many characters. He gave them each their own voice and personalitie.. The focus of this selection concerns both the Federal and Confederate efforts to disable or maintain the railroads within the active theaters of the war. 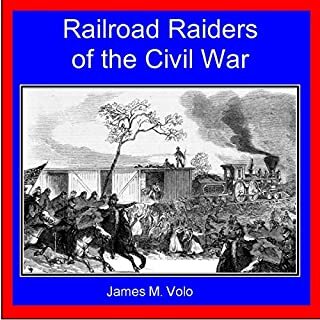 Real railroads of iron and steam and ribbons of steel vanishing into the horizon quickly became a strategic objective of both armies in the Civil War. Raiders and protectors were deployed both North and South. The damage inflicted on roadways and rolling stock was not always easy to accomplish. I like trains and stories about the Civil War. It was interesting that the author has mixed the two. I did not give this book a high mark because it was more like a text book and lacked entertainment value. Almost all audio versions of a book are more entertaining than the printed version plus I can do something else with my hands and eyes. Like drive or cut my grass. I liked the suspense of the mystery. Mr. Dalglish held off to the end for this who done it. I have heard other performances by Mr. Bennington and have liked them all. Hope Mr. Dalglish will use him again. 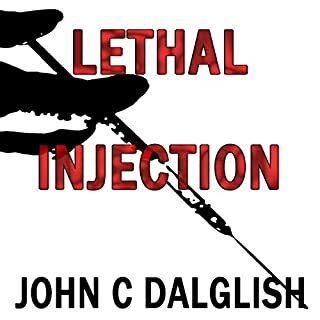 Would you consider the audio edition of Lethal Injection to be better than the print version? YES...the audio book was much more entertaining. The narrator gave the characters more life and the story took on more charm. What other book might you compare Lethal Injection to and why? The other books that come to mind would be "For My Brother" and "Cruel Deception" all done by the same reader. I liked all the characters as preformed by Mr. Bennington. No one stands out in my mind but as a group they were all done well. They seems to each have their own personality. 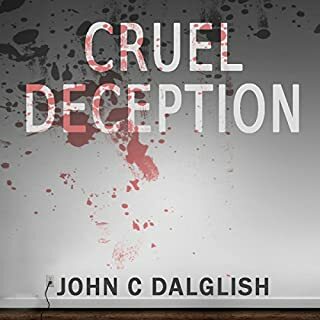 I loved this book as well as most of John Dalglish's books. The narrator also did a great job with the characters.